In 3-quart saucepan, cook bacon over medium-high heat until crisp; remove from skillet. Add onion, bell pepper and garlic; cook and stir about 3 minutes or until onions are tender. Add oregano and seasoning packets; cook and stir about 3 minutes. Add rice to saucepan; cook and stir about 5 minutes. Add water, olives, peas, tomato sauce and capers; stir to blend. Heat to boiling. Reduce heat to low. Cover; cook 20 to 25 minutes or until rice is tender. Remove from heat; stir in bacon and cilantro. Cover; let stand 5 minutes before serving. 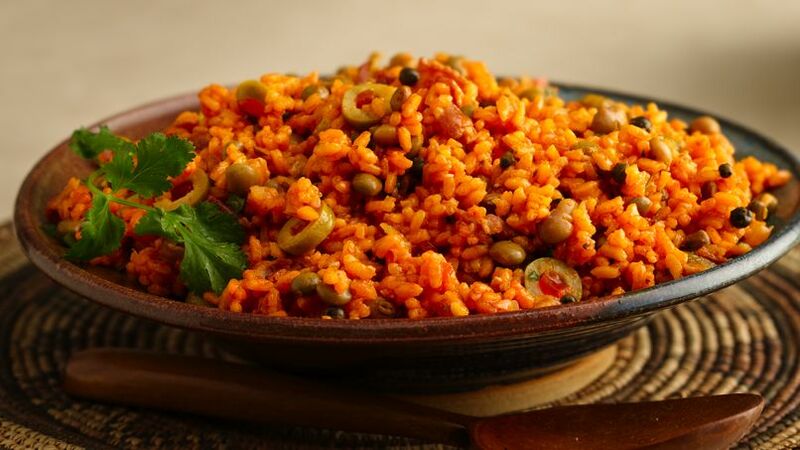 Enjoy this rice that’s made with pigeon peas and bacon – a tasty side dish.